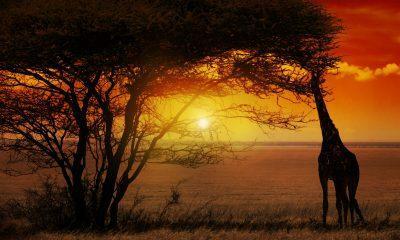 Want to see everything that the Pearl of Africa has to offer? 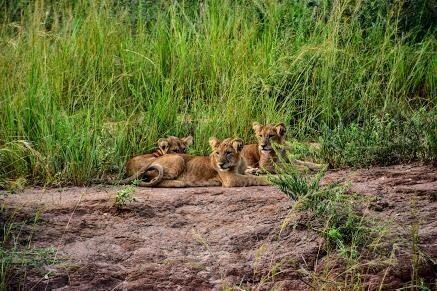 Our fourteen day Ultimate Uganda safari covers the width and breadth of this fascinating country. 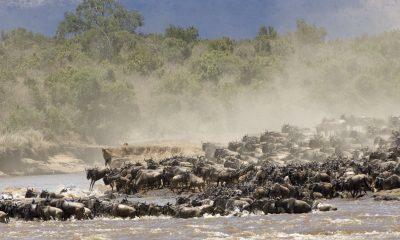 You'll go on safaris in Queen Elizabeth National Park, Murchison Falls National Park, and Lake Mburo National Park. 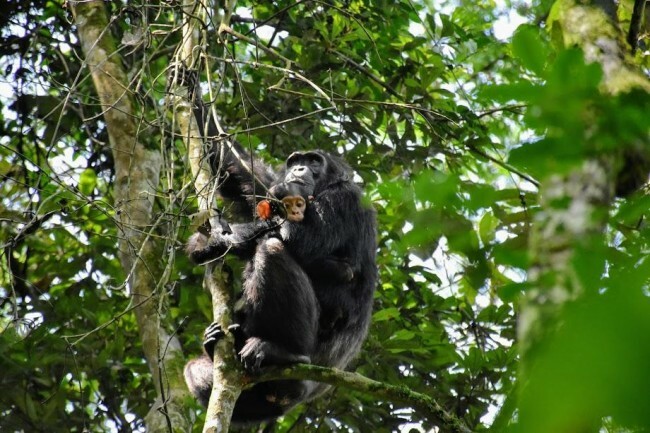 You'll trek for chimpanzees in Kibale Forest National Park and Kyambura Gorge. You'll commune with mountain gorillas in Bwindi Impenetrable and walk with rhinoceros at the Ziwa Rhino Sanctuary. 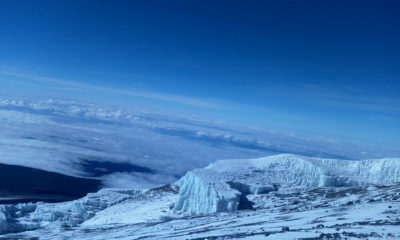 You'll hike to Sipa Falls and try your luck white water rafting on the Nile. 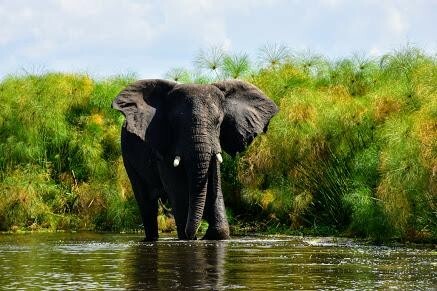 Put simply: there's no more comprehensive tour of Uganda than this mammoth adventure. 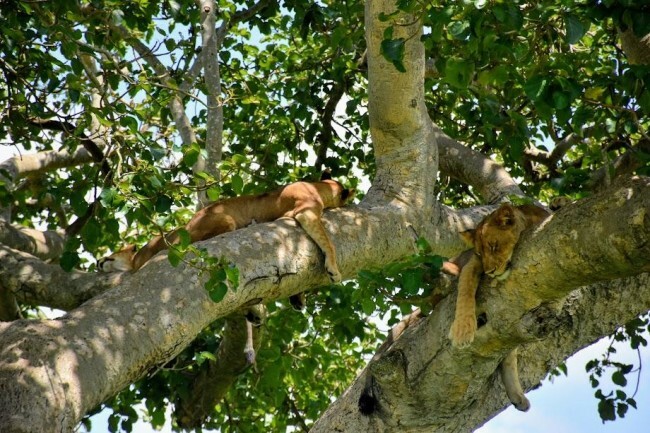 You'll depart from Entebbe after breakfast for the drive to the nation's adrenaline capital, Jinja. 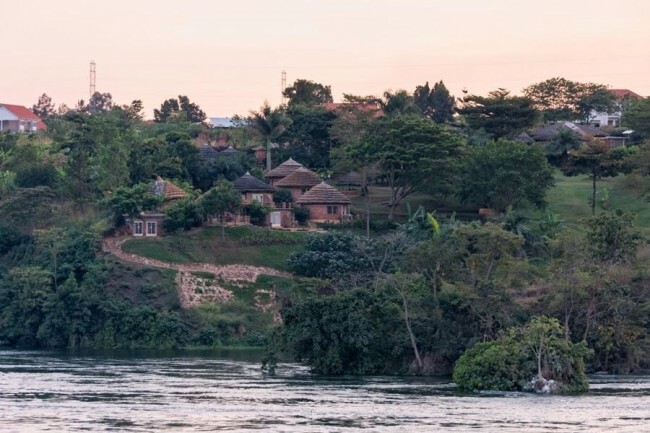 Located at the source of the River Nile, Jinja has become an adventurer's playground due to its rugged canyons and churning river waters. Arriving in time for lunch in town, you'll then board a boat and emulate the African Queen with your own trip down the NIle in search of its source. 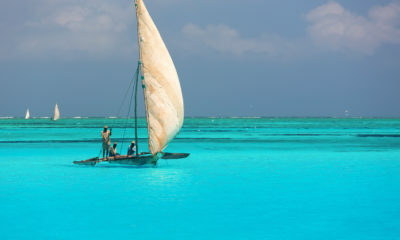 Along the way, you'll spot a variety of bird life out on the waters, pass the place where Mahatma Ghandi's ashes were spread, and finally come to the point where the mighty Nile finds its origin. Romantic sunset cruise on the Nile. In all cases, these additional activities attract an additional cost. Speak with your safari expert about your options. You'll overnight in one of the many beautiful lodges located along the banks of the Nile. It's a day for the truly adventurous today, as you'll venture out onto the River Nile's famous rapids for a half-day white water rafting excursion. Kitted out with all of the latest safety equipment and treated to a safety briefing before you set out, you'll then experience the speed and power of this mighty river as you and your team negotiate its rapids. After the thrills of your white water rafitng experience, you'll have lunch before setting off for the famous Sipi Falls - located just outside Mount Elgon National Park. You'll overnight here. It's another day of adventure today, as you'll set out for a guided hike to the trio of waterfalls that make up Sipi Falls. Located in the foothills of the world's largest volcanic base, the falls are not only beautiful to photograph, but a delight to swim near. There are several cool swimming holes along the way that will be perfect for cooling off after the hike. Birdwatchers will be especially enamored of this region, with a dizzying array of bird life to be found in the region. For the more adventurous, mountain biking tours can be arranged upon request. You'll again overnight in the region. You'll take an early breakfast today, as there's a long drive ahead of you as you make your way towards the beautiful Murchison Falls National Park. With a picnic lunch in tow, you'll set off for this often overlooked but rarely underappreciated park. One of the highlights of your day will undoubtedly be a visit to the Ziwa Rhino Sanctuary, where you'll have the chance to stretch your legs as you walk out into the reserve to spend some time with one of the resident rhinos. One of the only places on earth where you're able to have a close encounter with one of these endangered giants, Ziwa Rhino Sanctuary is sure to be a highlight of your tour. 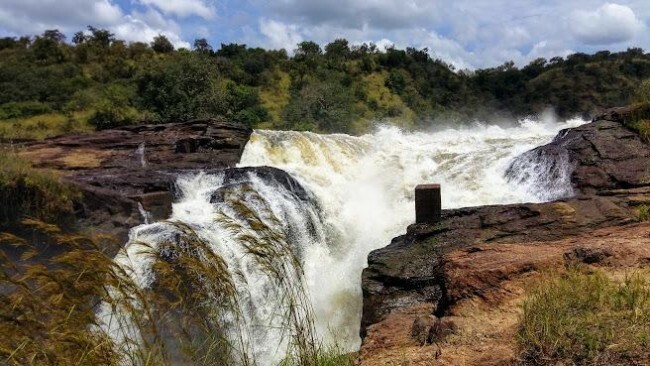 You'll then press on to Murchison Falls National Park, where you'll ascend to the very top of the falls to see the raw power of the mighty Nile as it squeezes through a tight space. Said to be the most powerful waterfall in the world, Murchison Falls is sure to impress. You'll then overnight either in the park or on its very outskirts. You're sure to be awake bright and early for your first day on safari, and you'll take a packed breakfast with you as you aim to catch the earliest ferry across the Nile and into the park. You'll then enjoy a morning game drive through the park. 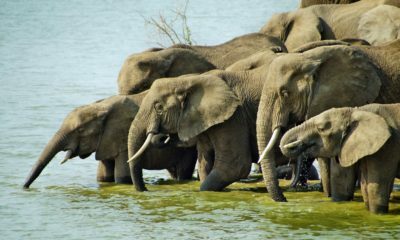 Home to 76 different species of mammal including four of the Big Five (there are no rhinoceros here), Murchison Falls National Park is home to a variety of wildlife you won't find on a conventional safari. 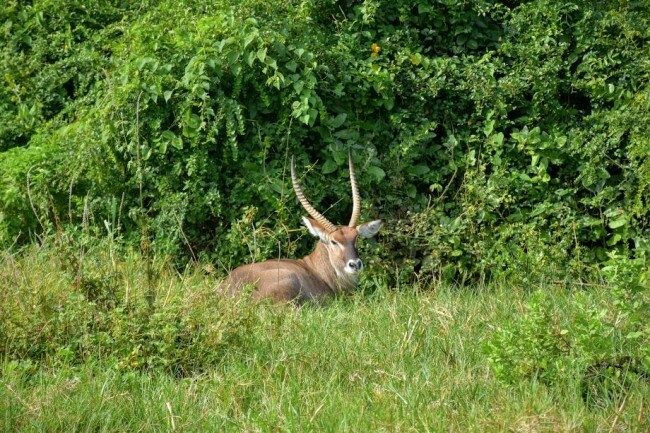 The Ugandan kob, the semi-aquatic sitatunga antelope, and the ever-hungry Nile Crocodiles are just a few of the fascinating animals you'll spy during your game drive. Returning to your lodge for lunch, you'll then head out in the afternoon for a boat ride on the Nile Delta in search of the rare shoebill. 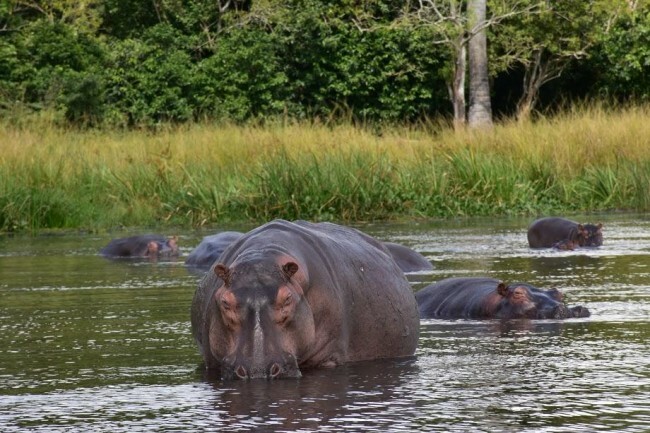 Along the way, you'll also spot hippos, elephants, buffalo, Nile crocodiles, Nile monitors, and a startling variety of birds. 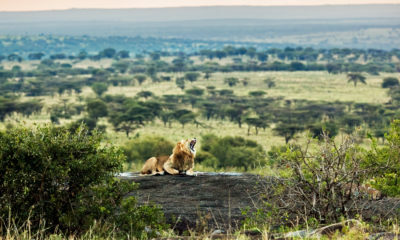 You'll depart after breakfast for the drive to the well kept secret that is Kabwoya Game Reserve. A small reserve on the shores of Lake Albert and with a view of the Congo's famous Blue Mountains, Kabwoya Game Reserve is an often overlooked gem boasting spectacular landscapes. 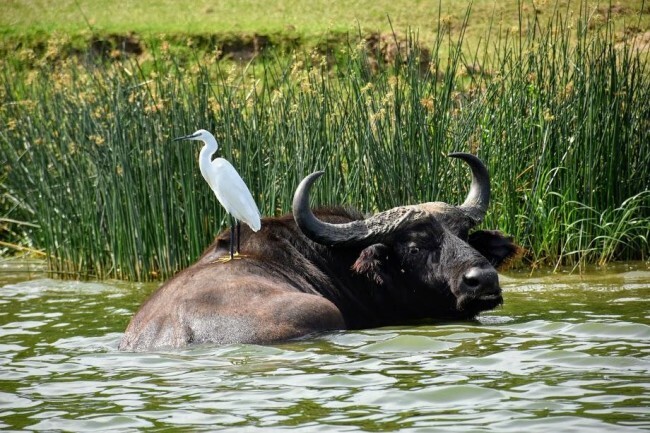 You'll enjoy an afternoon game drive through the park, where you'll spy wildlife such as Hartebeest, Uganda kob, bushbuck, black and white colobus monkeys, buffalo, and baboons. You'll then overnight in the nearby town of Hoima. It's off to Kibale Forest National Park immediately after breakfast. It's a long and sometimes bumpy ride, but you'll find plenty to occupy your attention as your journey takes you through bustling market towns and picturesque tea plantations. Upon arrival in the Kibale Forest National Park, you'll take a leisurely afternoon forest walk to stretch your legs after the long drive. Your forest walk will give you just a taste of the diversity of bird, insect, and plant life in the forest - and you might even spot one of the thirteen primate species that call the park home, such as blue monkeys, L'Hoest's monkeys, and bushbabies. 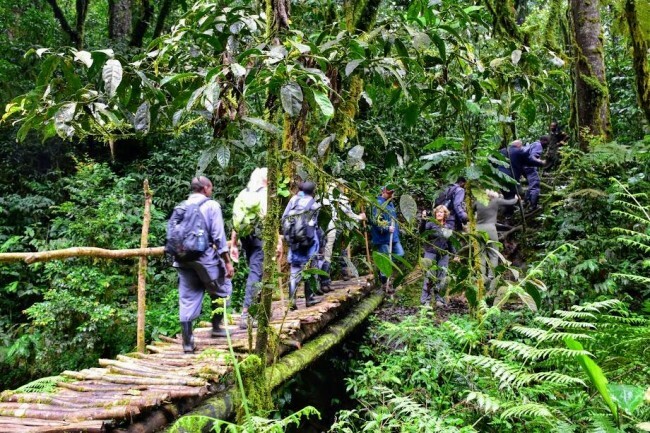 You'll return to your lodge in time for a hot lunch, and then it's time to set off on a different kind of adventure as you pay a visit to the Bigodi Wetlands Sanctuary. Boardwalks allow you to move through the towering stands of papyrus as you observe the more than 130 species of bird and 8 species of primate that call the swamp home. For those interested, a full day chimpanzee habituation experience can be arranged. 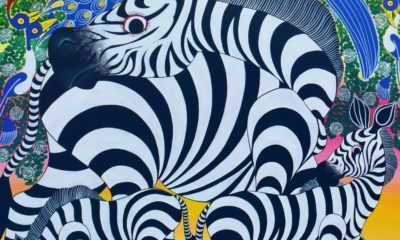 On this experience, you'll forego the afternoon activity and instead spend your entire day tracking the movements of the chimpanzees as they eat, travel, and sleep. You'll again overnight close to the park. You'll have another opportunity to spot chimpanzees at play today, as you'll trek down into Kyambura Gorge's forest in search of our closest living relative. 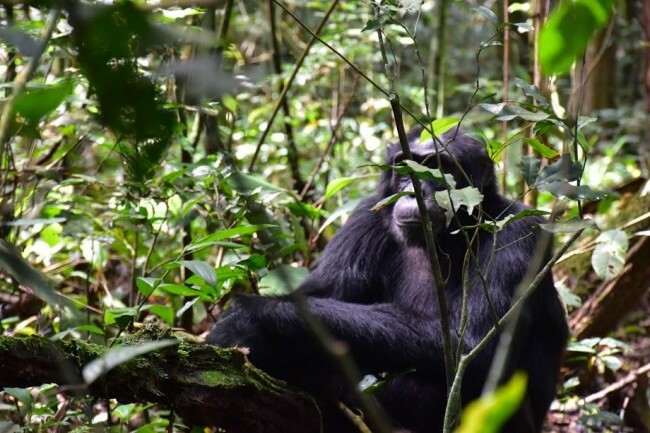 Not as used to people as the chimpanzees of Kibale Forest National Park, these primates might prove a little harder to spot. Nonetheless, you'll also have the chance to spot black and white colobus monkeys and vervet monkeys during your walk, and hippos, elephants, and antelope as you wander the shores of the lake that lies at the bottom of the gorge. 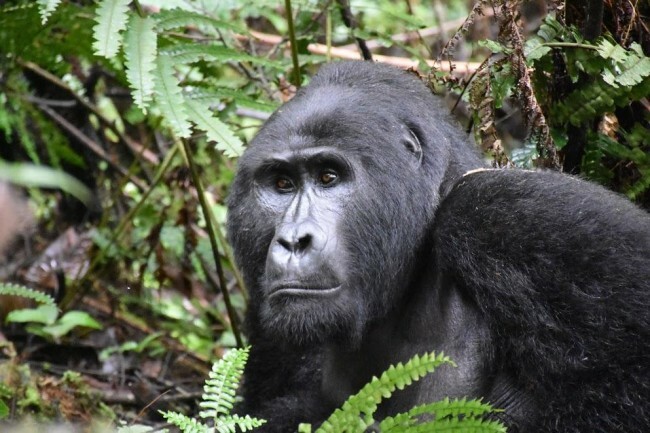 Once your hike is complete, you'll take a game drive en route to the Bwindi Impenetrable National Park. 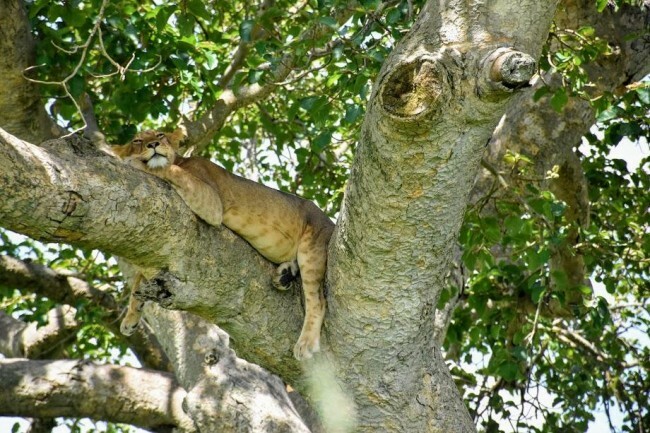 A highlight is sure to be passing through the Ishasha section of the park, which is famous for its resident tree-climbing lions. 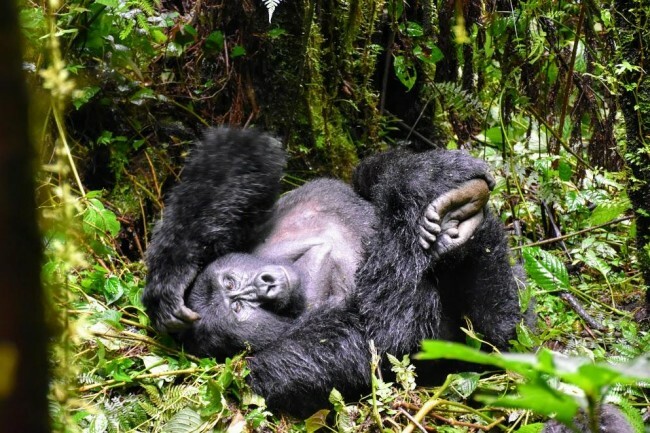 You'll then overnight in the mountain town of Buhoma, your gateway to Bwindi Impenetrable National Park. 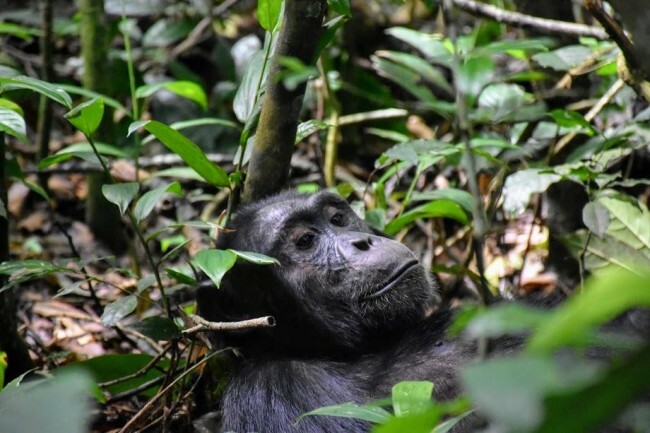 Chimpanzee trekking in Kibale and Queen Elizabeth National Park. Game drives in Queen Elizabeth National Park and Murchison Falls National Park. Whitewater rafting on the Nile. Guided waterfall hike to Sipi Falls. Walk with rhinos at Ziwa Rhino Sanctuary. 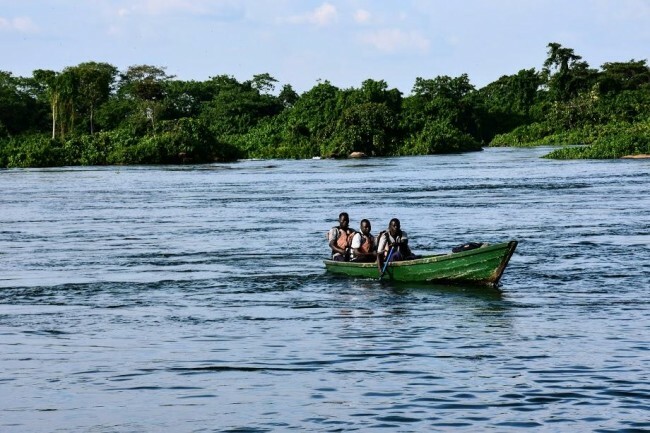 Boat safaris in Murchison Falls National Park and Queen Elizabeth National Park. World class bird watching across the country.